T-shirt was returned to sender, no damages or flaws. 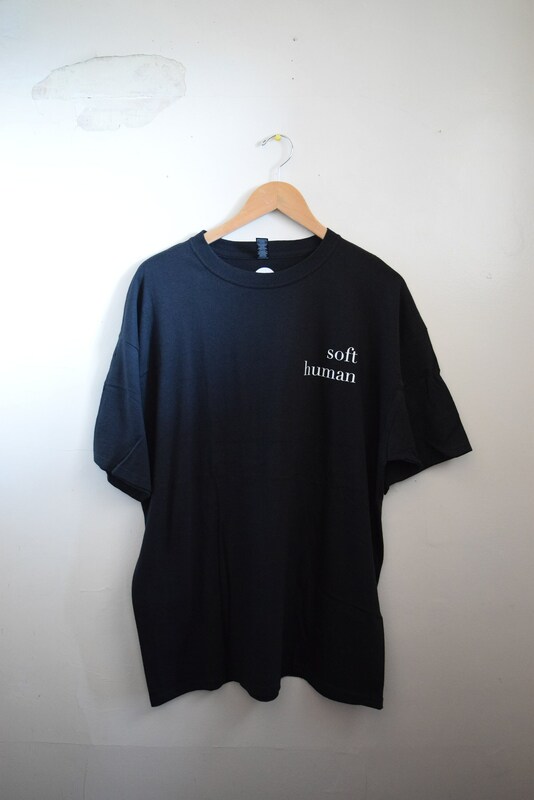 Black Cotton tee with "Soft Human" print in white. All measurements are taken in inches with the garment laying flat and have not been doubled. 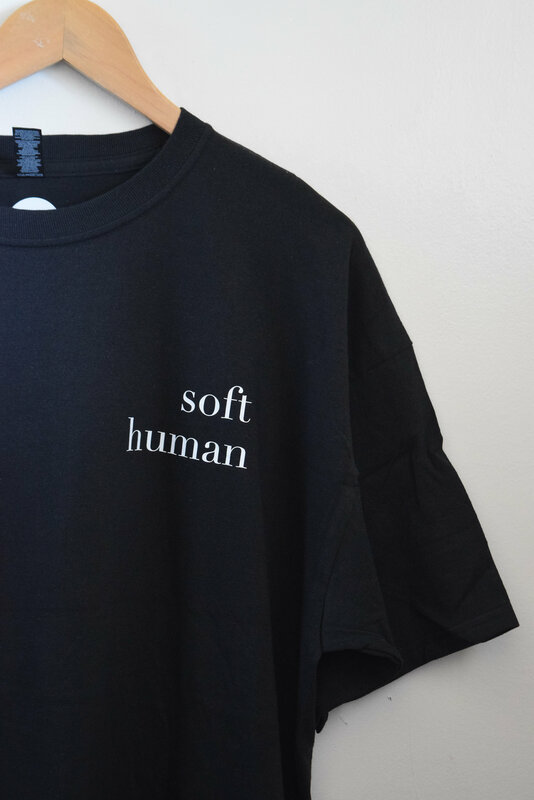 T-shirts are preshrunk. shoulder to shoulder 24" // armpit to armpit 23.5" // back of neck to bottom hem 32" // front of neck to bottom hem 28.5"